The annual Zambia Night Celebration was held in the lovely new Kaysville library auditorium on October 25th. Highlights from the evening included introductions of our volunteers and a letter read from a student by each school representative. Halee Roth, our google docs and graphic design specialist, made a lovely color program and showed us how to find the pictures of each of our schools, our students, our teachers and our micro- fund recipients by opening the folders in our google doc’s. Just put http://bit.ly/2dS1Pyc in your browser address field and up will come the folders double click to open them. 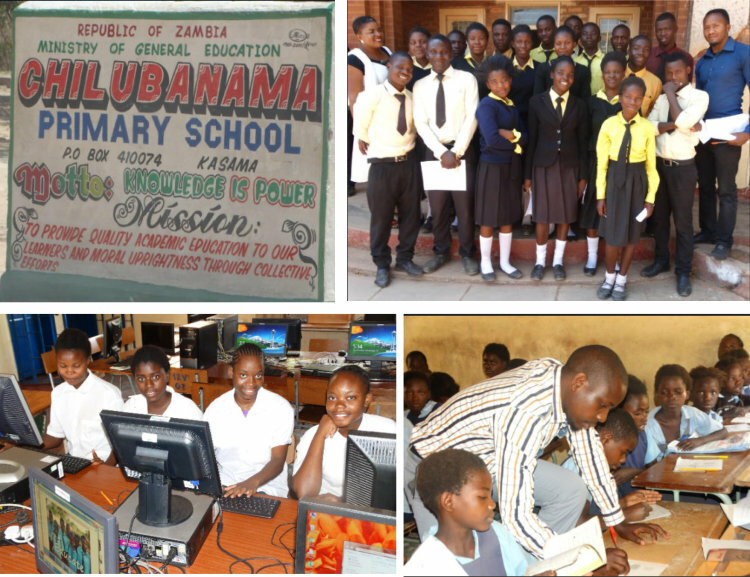 To find a current list of all our schools, the students and sponsors at each school, and what to send to your students and teachers in Zambia go to http://bit.ly/2e5QCXy and open the "Schools for Public View" or "Things to Send" folders. To see lovely slide shows, inspirational posters, and fun ways you can share Zambia with your friends, family, clubs, and churches go to http://bit.ly/2d7JZmg . Jim Boud gave an inspiring report on his trip to Zambia last March and talked about meeting his favorite micro-fund recipients. We would like to challenge each of you to reach a little deeper into your pockets and make a donation towards helping other people in Zambia start up a job for themselves by sending any amount towards phase two of our Micro Fund Program (begins January 2017). Allow us to explain why some of you have received individual application forms from students and individual letters from students from your school reps through the mail. Although we have changed to a sponsor supporting a school instead of an individual student, we thought it would be special to send you a sample application form and have one student from your school send a thank you letter to you. We are in need of grant writing volunteers! Grant writing is easy and fun. Once you submit your application, you sit back and wait to see how much money is raised. What a feeling of accomplishment when the grants come in! Peggy is holding a grant writing class at her home the first week of December. Please email her (at peggyzambia@yahoo.com) to let her know you are interested, and she will get you more details. Thanks again for your donations to the students in Zambia!